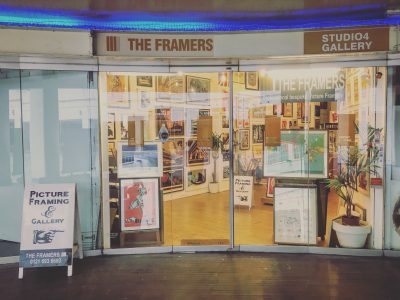 Early 2005 Beat13 moved their gallery space into Studio4 at The Framers situated at the Custard Factory in Birmingham’s creative quarter. It was a move of hope towards a brighter future for the local creative scene and was a natural progression to join forces with fellow Brummies ‘The Outcrowd’ collective. After a programme of diverse exhibitions over the years the gallery has evolved into a colourful eclectic place to buy prints and posters. From local artists work, designer prints, art prints, posters, vintage prints and B-movie posters. Keep an eye out for new upcoming exhibitions and events by some interesting solo artists and group collaborations, from local talented scribblers to international showcases.